PESHAWAR: The National Accountability Bureau (NAB) Khyber Pakhtunkhwa arrested two accused over their alleged involvement in the embezzlement of funds in “Clean Drinking Water for All” project which caused a loss millions of rupees to the public exchequer, said a press release issued here Thursday. According to details, accused Ideal Hydrotech CEO Mohammad Ramzan Sheikh and Asghar Khan were taken into custody by the bureau. The NAB had earlier directed certain private companies to accomplish the remaining job of installing filtration plants in different parts of the country. Ramzan Sheikh in connivance with other accused allegedly gave fake bank guarantees and illegally secured mobilisation advance for the execution of the project. Asghar Khan, an employee of a private bank, allegedly verified the fake guarantees produced by the contractors, the bureau said. The “Clean Drinking Water for All” project was started by the Ministry of Industries and Commerce across the country to install filtration plants in different vicinities across the country. The contractors in connivance with others did not execute the project, resulting not only in the huge loss to the national exchequer but also the failure to provide clean water to the general public. 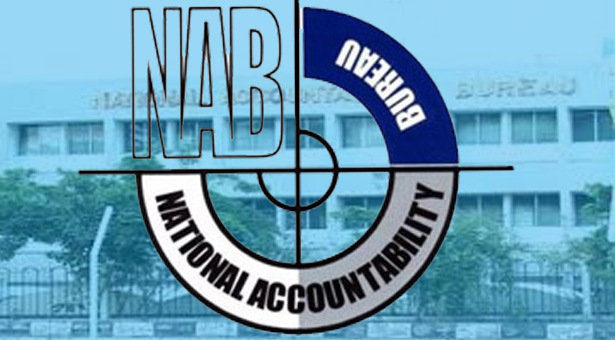 Investigation in the case is underway and more revelations are expected to surface, the NAB said, adding that the accused were produced before an accountability court in Peshawar. Lawyer of Ramzan Sheikh said before the court that his client is innocent. The accountability court approved the accused’s physical custody for the next 11 days. Later on, Royal Palm Golf and Country Club (RPGCC), in a statement, clarified that the arrest of Ramzan Sheikh “has nothing to do with, and will in no way, impact the affairs of the RPGCC”. The said project was being undertaken by Sheikh in his personal capacity, it added.